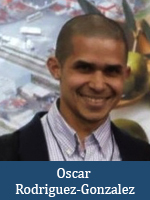 Oscar Rodriguez-Gonzalez is a member of the research team at OES participating on the ‘first global assessment on the current state of organizational excellence’ that was launched by the OETC and has been supported by the GBN, ISO/TC 176 and International Academy for Quality. He is a professional and Chief Manager of Rodriguez-Gonzalez Services Corporation where he leads projects in four areas: innovating, educating, advising and auditing. He is a Professional Agrologist, Certified Food Scientist, Certified Quality Engineer, Certified Sustainability Professional, has obtained a PhD in Food Science from the University of Guelph, an MSc in Biological and Agricultural Engineering from Texas A&M University and a Bachelor degree from Escuela Agricola Panamericana. Some of his recent projects include: improving the performance of an automated vending network, assisting in a Continual Improvement for Social Responsibility course, teaching Continuous Improvement, conducting Food Safety Audits by contract, and the conceptualizing a virtual resource called Safe.Food-Renovator.net. He is Chair for the IFT Quality Assurance Division, Vice-Chair of the IAFP Food Defense Professional Development Group, Director in the OIA Central Branch, volunteers with ASQ-Toronto Membership, and an active contributor to most of the professional organizations he is a member.